We welcome new patients with enthusiasm! With each new smiling face, we get a chance to help another child receive the dental care they need for a lifetime of good oral health. It is very important to maintain the health of you child’s primary teeth. Untreated dental decay can often lead to problems which affect developing permanent teeth. Primary teeth help children learn to speak and eat properly, provide space for the permanent teeth to erupt, and permit the normal development of the jaw bones and facial muscles. When you bring your child in for their first visit, we will check for and treat decay, and provide protective fluoride treatments and dental sealants to ensure that their primary teeth are able to carry out their many functional purposes. As your child gets older, their primary teeth will fall out and be replaced by their adult or permanent teeth one by one, with most (if not all) of their adult teeth arriving by age 11 or 12. If your child requires restorative treatment for decayed, damaged, or knocked out permanent teeth we can help restore their naturally healthy smile too. We offer gentle but effective restorative treatments including dental fillings, root canal therapy, dental implants, dental bridgework, cosmetic bonding, teeth whitening and much more. 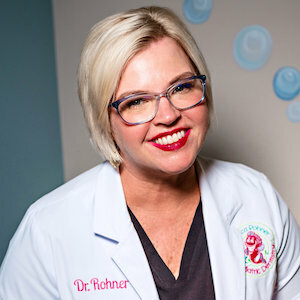 Whether your child needs preventive, restorative, or cosmetic dental treatment, Dr. Rohner can provide the specialized and comprehensive care they will need to maintain optimal oral health and wellness.